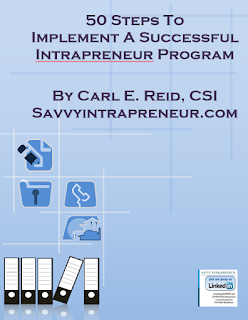 by Carl E. Reid, Chief Savvy Intrapreneur, who developed his intrapreneurial problem-solving skills at the early age of 13 with paying his tuition at Salesian High School in New Rochelle, NY and paying his 4 years of college tuition at Fordham Univerity in the Bronx, NY. In Carl's own words "Growing up on the mean streets of the New York City Edenwald housing projects, I was a terrible student when my parents paid my parochial grammar school tuition. I became an outstanding student the moment my father told me it was my responsibility to pay my high school tuition. I worked in the summer as a messenger in the garment district in New york City. Through an employer college tuition reimbursement program, I paid my tuition to attend Fordham university for 4 years, without taking out a loan." 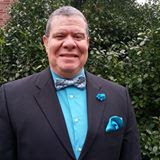 Carl is paying it forward by writing this article to educate ANYONE who seeks a college degree. To graduate from college without any debt, think like a savvy intrapreneur who keeps all options open for innovative solutions to problems. This means paying for a college education with an open mind towards exploring multiple funding sources that result in a debt free graduation. Starting a job as a debt free college graduate becomes profitable with your 1st pay check. With the advent of the 21st century social media age, there has never been a better time for anyone to attend college and graduate debt free. Although the college education system still works inside an industrial age paradigm, there are plethora of tools and resources for creatively financing a college education, without being burdened with loan repayments. Who wants to spend the first 5-15 years of their working career not being able to afford to move out of your parents house, take vacations, fulfill other dreams, buy a car or a house, because all your extra money goes to college loan payments? You're only limited by your imagination to fund your college education. With videos as appropriate, here are 12 proven strategies to jump start the creative energy. Be prepared to mix and match the strategies to fully cover college tuition, books, room & board, meals and some spending money too. Reach out to me, if you have questions. Comment below with creative ways you have funded your college education. I'll update the list below of proven strategies with your ideas, giving you credit. The financial aid office will tell you its goal is to help you get all the money you're entitled to receive. The missing part of that statement is the financial aid office has a fiduciary responsibility to make sure the respective college gets paid. That translates into collaborations with banks for student loans, which always ensures the college gets paid. Leverage all Financial aid resources and the knowledge staff provides, but stay laser beam focused only on grants and scholarships. Repeat 5 times a day "No student loans means freedom and peace of mind". Leverage scholarship web sites to do the heavy lifting with identifying scholarships and sending you alerts. Out of the top 5 Top <click here> Scholarship Search Engines recommended by U.S. New and World Report, Fastweb.com is the premier solution I recommend for identifying scholarships based on each individual student's situation. Similar to creating a LinkedIn profile, set time aside for you and your parents to schedule several sittings for completing the Fastweb.com profile application. Questions answered honestly will result in big dividends for programming Fastweb to return the best scholarship opportunities for your situation. Leveraging United States military service provides valuable job training experience and can lead to cover college costs. No matter which branch you serve, joining the military can get your college education paid from credit for military experience to having a full 4 year college program fully paid. Check out college programs for military service. Attending military service academies covers tuition, books, board, medical and dental care being fully paid for all four years - and you get paid a monthly stipend as well. Check with your father, mother, aunt, uncle or other family members to possibly leverage their armed forces service to protect the freedom for citizens of the United States of America. Here is a list of Military Affiliation Scholarships - This covers Marine Corps, Navy, Army / National Guard, Airforce, Coast Guard. Another veterans resource to check is Military Family Member Scholarships. Just like it's done for company startups, leverage crowd funding to raise your tuition money. The key is to write or ask someone to help you write a value proposition that engages people beyond "donating to my cause is a nice thing to do". Reach out to me, if you need assistance. Focus on engaging people with your story. Don't focus on the money need . To elevate the impact of your value proposition, create a video in your own words. Share it with everyone. Tell your story with . . .
Who you are, family life and current student or citizen achievements? What the money is for by detailing your college expenses and what will you do academically and community wise while you're in college? Why you want to go to college? How will you use your college education to make an impact on your community and the world? Touch people hearts by explaining how you're college education relates to their life. According to Lauren Berger, The Intern Queen, the word INTERN is usually associated with the word UNPAID or FREE LABOR. In this economy, more and more paid internships are becoming unpaid. It is difficult to find these paid opportunities but not impossible. After viewing Lauren's video below, read her article How to Land a Paid Internship. 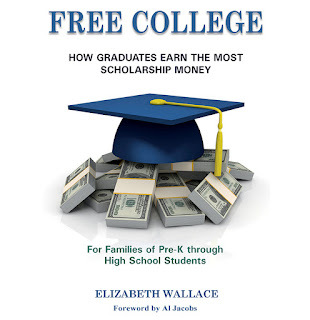 The book FREE COLLEGE How Graduates Earn The Most Scholarship Money by Elizabeth Wallace contains a simple step-by-step guide to mastering the proven secret habits, practices and strategies of the most successful college scholarship and grant winners. Families of Pre-K through High School students will learn tactics used by students who stand out from the crowd. 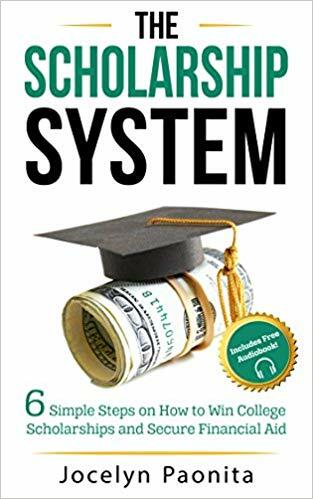 By following the painless tips researched and collected for this book, students may become ideal scholarship and grant applicants. They may win more free cash for college, graduate debt free and reap a lifetime of benefits. The National Scholarship Providers Association has an extensive list of associations, foundations and community members that provide scholarships to attend university. From the Marine Corps League Foundation, to Prospanica (NSHMBA), to The Black MBAs, to The Knights of Columbus, to the Islamic Scholarship Fund reach out and/or get involved in professional, cultural or community associations. This includes college fraternities, sororities, co-educational fraternities and alumni associations. Consider Insurance companies giving away scholarships for college. Don't discount your Parents' or a relative's membership in a labor union. Respectfully ask them to champion your education cause, through their union. According to U.S. New and World Report, more than 14.5 million American workers are in a union and have access to money for college. Start with applying for Union Plus Scholarship. This is how I paid for my 4 year college education. Did you know companies like Walmart, McDonalds, Starbucks, Food Lion and Home Depot have employee college tuition reimbursement programs? 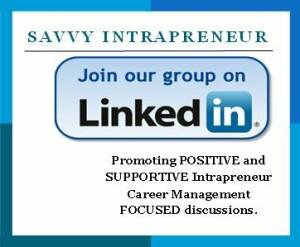 Savvy intrapreneurs always look for ways to give themselves a raise, even when raises may not be forthcoming at work. College tuition reimbursement is a raise and money in the bank. Think promotions and career advancement with a college degree. Reach out to me, if you need assistance getting into the companies listed below. 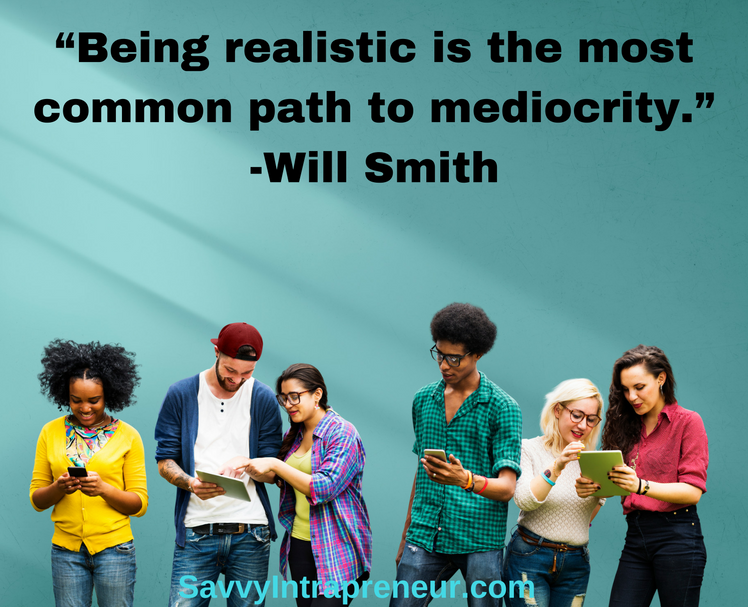 This is my personal favorite, because it sets the stage for creating a steady stream of residual income beyond college graduation. A business tarted in college can create additional income, augmenting your job salary. Feel free to contact me, if you need help or want to kick around a few business ideas. Michael Dell, Bill Gates, Susan Gregg Koger and Mark Zuckerberg started their businesses as college students. You can start small to generate $500 to $2,000 per month in income. Focus on solving student problems at your college campus by providing consumables. Something as simple as having energy drinks could make you a rainmaker to students studying late at night, when the stores are closed. How about care packages made up of snacks for home sick students? Get paid to organize holiday / spring break vacations for students. Not everyone wants to go home. snacks for home sick students? Get paid to organize holiday / spring break vacations for students. Not everyone wants to go home. Click here to contact me, if you want to apply to be considered for our Friends Helping Friends Succeed business asset mentoring program. Networking is the engine that drives the results of each strategy above. 2 networking facts; 1) No one is self made. Interrelationships with people are essential for any endeavor to be successful and 2) It's never too early to start networking throughout high school and college. Whether you are networking online or offline, you must learn the proper etiquette and language of networking. Learn networking terms like edification, reciprocate, the ask, networking leeches, influence, pay it forward, good will bank, networking capital etc.. The book 10 Powerful Networking Secrets of Influential People is a great resource to develop power networking skills. Making College Affordable - Scholarships & Financial Aid For Minority Students Paying for college can be tough for anyone. Tuition, room and board, parking, lab fees and other expenses put constant pressure on paychecks and set up students for years of lingering loans. According to the U.S. Department of Education, undergraduate students at four-year institutions paid an average of $13,927 per year for tuition and fees in 2012.For certain segments of the population, however, a number of unique opportunities exist to help defray these costs. Fortune 500s, state governments, advocacy groups and other entities with educational interests offer scholarships to students based on merit, need and/or personal characteristics. Microsoft’s “Blacks at Microsoft Scholarship”, for example, offers qualifying African-American high school seniors up to $5,000 per year to complete their undergraduate education. READ more . . . Scholarships By Cultural Heritage Ethnicity llll.